Over the last several years, cancer treatments have saved thousands of lives. Even better is the fact that cancer treatments are becoming more and more effective. There is one downside, however – possible infertility. Chemotherapy and radiation are both cancer treatments that kill cells. When dealing with cancer, that’s exactly what doctors and patients want. Unfortunately, non-cancerous cells often die along with the healthy cells. Most cells have the ability to regrow and repair. 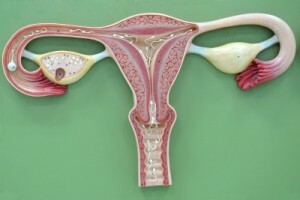 Cells found in the ovaries, oocytes, which will one day travel to the uterus in hopes of being fertilized, cannot regrow or repair. As a result, any oocytes lost during cancer treatments are lost forever. To date, the only viable options for retaining the ability to conceive after cancer treatments are to either hope oocytes are preserved or to freeze them before the treatment starts. However, researchers from the Walter and Eliza Hall Institute, Monash University, and Prince Henry’s Institute of Medical Research believe they may have stumbled on to another possibility. While observing the behavior of primordial follicle oocytes in mice (egg cells formed before birth), researchers found two proteins, NOXA and PUMA, that cause egg cells to destroy themselves. This process occurs naturally when an egg is not fertilized. “PUMA and NOXA can trigger cell death and have been found to be necessary for the death of many different cell types in response to DNA damage,” said Associate Professor Clare Scott, an oncologist from the Walter and Eliza Hall Institute. Researchers wondered what would happen if they blocked one of the two proteins prior to radiation. What they discovered may very well help preserve the fertility of cancer patients in the future. “Not only did the cells survive being irradiated, they were able to repair the DNA damage they had sustained and could be ovulated and fertilized, producing healthy offspring,” said lead author Jeffrey Kerr, an Associate Professor at Monash University. In fact, between 50 and 80 percent of the eggs in these mice survived through the radiation process. The team is now conducting similar trials on human egg cells to see if blocking the two proteins in humans will provide the same results. If all goes well, they hope to start working on a drug designed to block the proteins from killing eggs prior to radiation. “If that pans out well, then we would hope that a drug that could target [the protein] puma…be provided as a therapy for three to six months during cancer therapy,” Scott said. But that’s not all – the researchers also believe it may be possible to use this same technology to help prolong fertility for women who may be at risk for early menopause. Because a woman’s egg cells are predetermined, even before birth, new cells cannot be made after birth. For women with fewer oocytes at birth, the risk of early menopause is higher. This can lead to other health conditions, such as osteoporosis and heart disease. Prolonging the fertility period of a woman could help reduce her chances of these health complications.